moisture management. 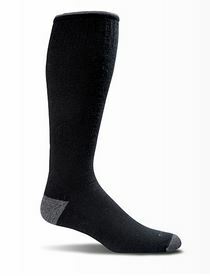 Four zones of graduated compression promotes circulation, minimizes swelling, and reduces fatigue. 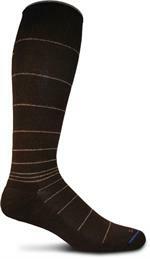 • Minimizes swelling by keeping blood from pooling in the foot. • Promotes circulation and minimizes varicose veins. • Reduces fatigue by stabilizing muscles. Please note that compression items are not returnable for sanitary and health reasons. Sold by the pair. Select Size.